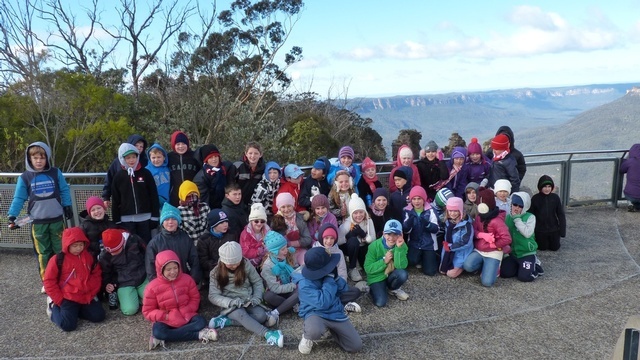 Teaching and learning in the area of Human Society and its Environment Curriculum at St Thomas is based on the NSW Board of Studies K-6 HSIE Syllabus. In this key learning area students learn knowledge, understandings, skills and values about people and their physical environments. In this area St Thomas employs an inquiry approach as such an approach reflects the belief that ‘active involvement on the part of the students in constructing their knowledge is essential to effective teaching and learning’ (Kath Murdoch 2010). In Stage 3 the students are exposed to a wide range of technology based Challenge Based Learning units. Each term the students will build their knowledge, skills, understandings and values about selected content and respond to it by creating a project which will be presented to the community at the end of the term. The Term 1 project is usually a 5 minute film planned, scripted, shot and edited by small groups of students to present that group’s knowledge and understandings developed through extensive research over the course of the term. The highlight of the term is a film premiere night. Over the two years in Stage 3 students learn to produce movies, radio shows, webpages, podcasts and learning expos.